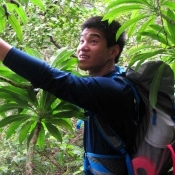 Chris is a AmeriCorps Horticultural Conservation Research Assistant/Intern in Hilo, Hawaii. Chris's job requires him to wear many hats including field work, office work, and educational sessions for natural resource conservation. This profession is not for everyone, but Chris shows a real passion for what he does. Want to know what life is like after college for a specific profession? Are you looking to move to a new city after college? Check out this in-depth look into lifestyles after college! Follow us on Facebook for daily updates and tips straight to your newsfeed! Check out our featured lifestyles after college. See what life after college is like for a specific profession and location. View agendas, apartment tours, living situations, and more! Ryen is an Internet Marketer living in the San Francisco Bay Area. He lives in an awesome 2 bedroom 2 bathroom apartment with a roommate. See what life after college is like for this profession. Emily is an Account Manager at a Media Advertising company in New York City - home to the leading advertising firms across the globe. Learn what media advertising entails! Shwetha is an engineer at an environmental consulting company in New Jersey. Her job entails field and office work for environmentally sustainable practices in construction. Tyler is a Senior Financial Analyst for a major technology company in the San Francisco Bay Area. Learn about Tyler's career path, what he actually does, and tour of his life after college. Mike is a Consulting Analyst at a major Commercial Real Estate company in Los Angeles, California. Mike takes you on a tour of his life after college. See what it's really like for his profession, and his lifestyle. In "Tour My Life," take a closer look into specific aspects of life after college through a photo gallery tour. Learn about apartments, clothing, groceries, cars, and more! Check out Ryen's Daily Vlog showing his life after college. See everything from cooking videos, to after college tips, exercise, movie reviews, and more! Check out our featured stories and tips for life after college. These stories come from real college graduates who have experienced the same things as you! You have got to read this true story about how Ryen was able to get a job out of college. His stragegy is outlined in this valuable article. Now that you have graduated from college, it's time to upgrade your ramen! Learn how to make restaurant-quality ramen in 4 steps. As we know, scoring a great internship is the first step to getting an even greater job. Gain valuable advice on what you need to do while still in college. Makana, a recent college grad, moved from Honolulu, Hawaii to Cairo, Egypt for work. Read about his experiences and hardships. The ultimate college grad guide to life after graduating.